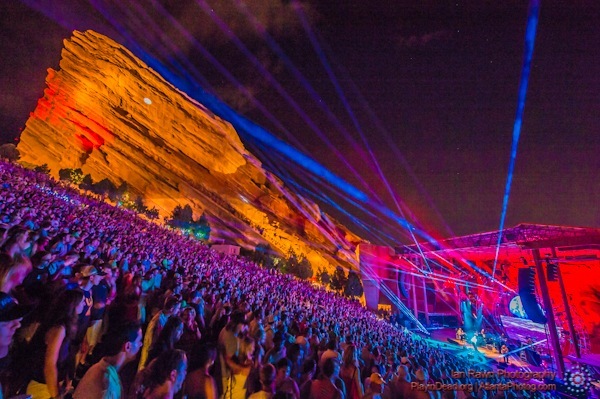 Morrison, Colorado – home to one of the world’s greatest outdoor venues, Red Rocks Amphitheater – just won a massive lawsuit banning all Electronic Music for all of 2019 Effectively canceling dozens of shows. The lawsuit titled Morrison, Colorado vs. Red Rocks Entertainment Concerts has been an ongoing battle over the past five years. The suit was first filed in 2013 after Bassnectar cracked and broke several pieces of the amphitheater walls. In 2015, the lawsuit took a turn for the worse after Red Rocks repeatedly allowed Marshmello to headline the venue. Causing the residents of Morrison to declare enough was enough, and seek to push the lawsuit into litigation. After a unanimous jury ruled in favor of the city of Morrison, shockwaves were sent throughout the Colorado music community, as well as the nation. Once the news broke, several high ranking electronic acts countersued the city, after realizing most of their headlining shows will now be canceled. Zeds Dead, Louis The Child, Boogie T, and ODESZA have all filed countersuits against the ban. You can read more about the ban and see all the cancellations for 2018 here. P.S. – If you are reading this, you know it’s April fools :). But seriously, how bad would this be? Be honest, did you fall for this at least a little bit? LOL.